The three slopes are covered in Snowflex, a revolutionary new surface which has no holes, is easy to ski on and softer to fall on. All slopes have lifts and floodlights. If you can already descend our slopes in control and use the lifts why not use our recreational sessions to practice your ski and snowboard skills either between lessons or before departing for a ski holiday? Sessions run through the winter season and are designed to meet your level of experience. New to snow sports? Why not have some fun in our Ringos? Great for birthday parties as well! Recreational Ringo sessions now run every weekend. 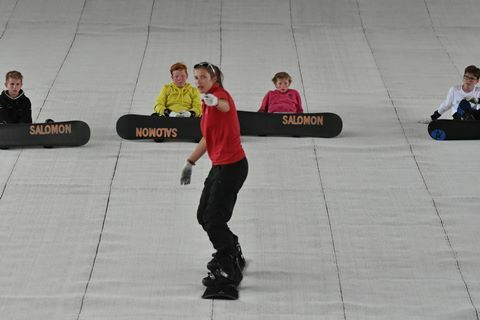 Why not attend one of our Ski or Snowboard skills courses to develop your skills further. 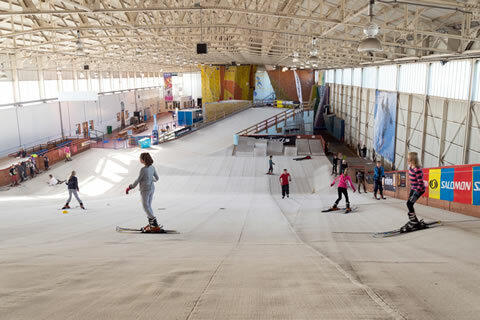 The Calshot Youth Ski Club offers independent learning for 7 to 21 year olds. Please contact us if you’d prefer a tailor made private lesson led by one of our experienced instructors.